Attention, gluten-free bakers: Cornmeal is your friend. Having an extreme sweet tooth and a gluten allergy can be rough. I get a little too excited when I see gluten-free pastries -- “dessert I can eat! This is gonna be great!” When I take a bite, I’m less enthused. It’s either so dry that I almost choke on it or so sweet that I need to immediately swig water. So much for my fun treat. To satisfy my dessert lust, I’ve resorted to making my own cakes. To avoid dry, leaden baked goods, I make sure to use a variety of flours. Some, like rice flour, are extremely light, while others, like buckwheat flour, can be quite dense. One of my favorites is cornmeal. 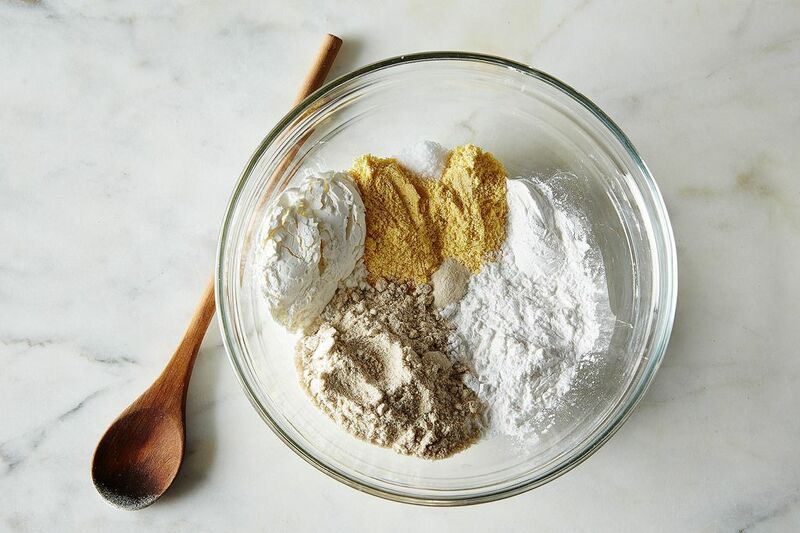 Unlike more obscure flours, it’s easy to find and well-loved by even non-gluten-free eaters. Cornmeal adds a hearty texture to cakes, which combats the typical gluten-free gumminess. It tastes warm and toasty, like the cake version of your flannel shirt. Who doesn’t want to eat that? When baking, I like to use fine cornmeal. Coarse cornmeal can be a little too crunchy and reminiscent of birdseed, which no one likes. I love to use it in fruit-loaded cakes, as its heartiness contrasts beautifully with the soft fruit. 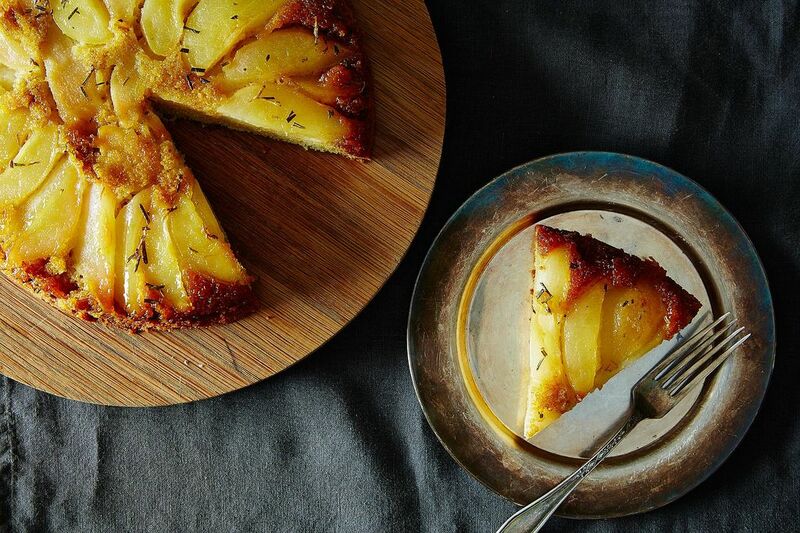 My current favorite is this pear rosemary upside-down cake. Since a cake with only cornmeal would be far too dense, I’ve lightened it up with a blend of gluten-free flours. I’ve mixed sorghum flour, which is slightly sweet and heavy, with cornstarch and tapioca flour, which are extremely light and fairly bland. 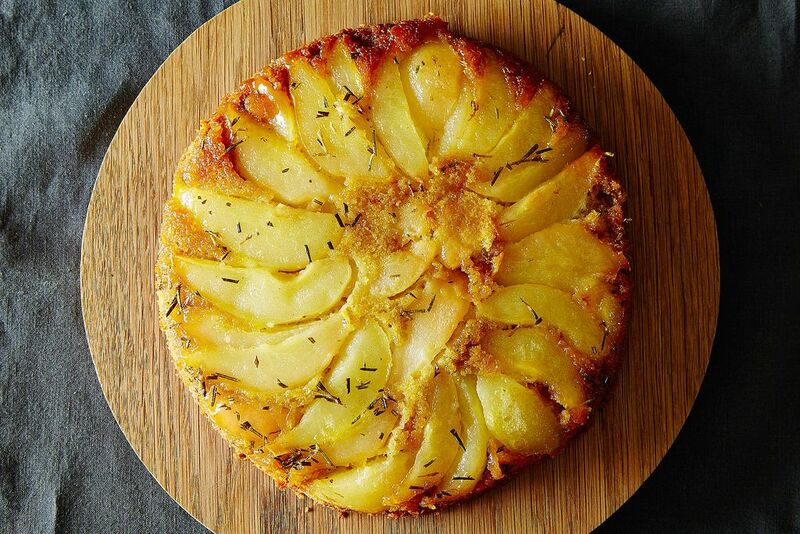 This produces a cake that is airy and flavorful, with none of the bitter or chalky aftertastes that are in many gluten-free baked goods. To make it even more appealing, I’ve included lots of butter and caramel, which make almost anything taste good. The rosemary and cornmeal add a savory edge that combats the caramel’s sweetness. The pears and caramel make the cake extra moist, calming my fear of choking on dry crumbs. It’s the way cake is supposed to be -- warm, slightly sweet, and even good enough for breakfast.